Lockers are usually designed quite narrow, in various heights and tiers to adapt to personal and professional storage needs. 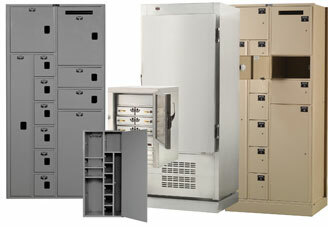 Professional looking lockers are great solutions for businesses that need to store employee and employer personal items. Personal storage lockers are also affordable for residential home applications, such as garage storage arrangements for tools and parts. 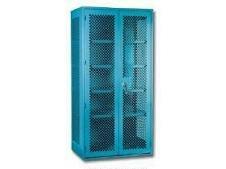 Storage lockers with padlocks are also used in schools for students and athletes. Students can use lockers to safely keep their books, notepads, pens, pencils, paper, assignments, and other educational belongings in one place. Athletes for basketball, baseball, softball, tennis, volleyball, soccer, football, cross country, track, bowling, cheerleading, gymnastics, hockey, snowboarding, skiing, sledding, archery, and other physically active sports, can use lockers to place their athletic gear for practice gatherings and game events, instead of having to carry their belongings with them in a bag with no lock for safety. 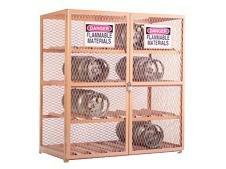 Industrial storage lockers are available to purchase for warehouses and welding shops to store valuable hardware to prevent pilferage and thievery. 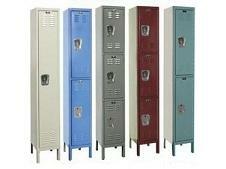 Lockers are made in varieties of materials, such as metal, wire, mesh, steel, plastic, plastic laminate clad, recycled plastic, wood, and glass. Lockers also come in different widths and depths, depending on custom needs for individual places where they will be stored. The amount of tiers with shelf levels can also vary, anywhere from one to five or more tiers. 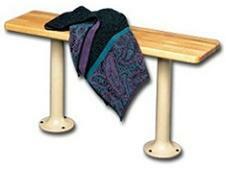 Handles or latches can come with built in combination locks or an option of adding a separate pad lock. 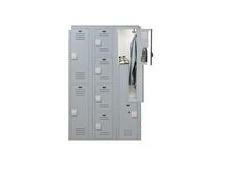 Hinges on lockers, especially high quality and state of the art, are strongly welded onto locker doors to deter unauthorized users from breaking into lockers.